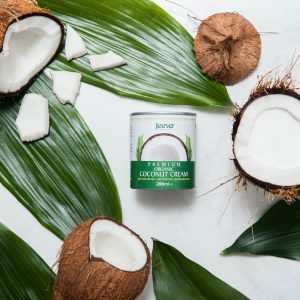 Vanilla adds a wonderful fragrance to our 100% raw and natural cold-­‐pressed virgin coconut oil. 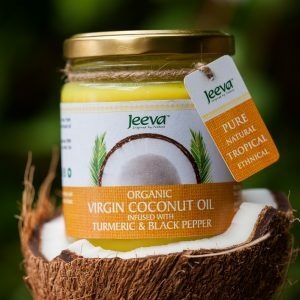 We make it with premium hand-­‐picked coconuts from small, sustainable, organic farms in Sri Lanka – not only because of our ethical values, but because they taste better. This one is the sweetest variety in our flavoured range and, as such, it’s particularly good for baking. 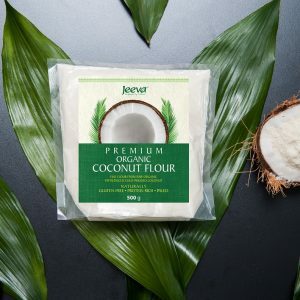 It makes delicious dairy-­‐free cookies, loaf cakes and muffins and is great for cooking pancakes. As you can imagine, the vanilla fragrance also makes this a number one choice for beauty treatments. 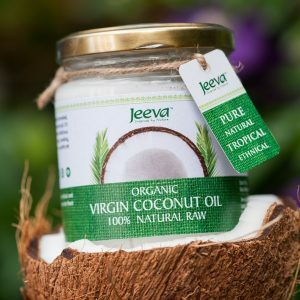 Coconut oil can be used as a moisturiser on the face, body, feet and hands, as well as a deep conditioner for hair in need of gloss and nourishment. This versatile store cupboard must-­‐have is thick, creamy and packed full of flavour. It takes homemade curries to the next level and is also great in smoothies and tropical cocktails.